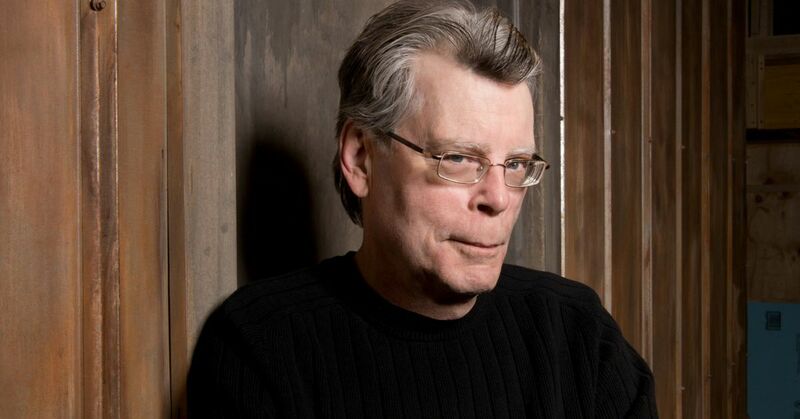 What’s Stephen King up to this week? I swear, at this rate I’m going to need to start doing a weekly update on King and all the news that seems to surround him lately. Not that I’m complaining, the dude has been my hero since I was 11 years old. But instead of making a bunch of separate articles I’m going to do a quick Stephen King wrap-up. IT is blowing up the box office right now and many people have been wondering about the sequel – well, Andy Muschietti has mentioned that he is currently “outlining the story” and Gary Dauberman, who helped write the first film, will be writing the script. The second film will focus on the Losers’ Club as adults, 27 years after the first film is set. There have been plenty of rumors and fan casting for the adult versions but as of yet there’s nothing cemented. In a recent Facebook live session with Yahoo Movies, Barbara Muschietti revealed that they will be releasing a director’s cut which is incredibly exciting. IT had incredible pacing and is phenomenal the way it is but I can’t help but get super excited for an even longer version! Andy revealed there will probably be about 15 minutes extra worth of footage. Check out our review of IT right here. Coming soon to Netflix on September 29th is Mike Flanagan’s new adaptation of Gerald’s Game! Recently we got a trailer and this week we got a poster. I cannot wait for this movie and after seeing the trailer I have full faith in Flanagan’s vision. Flanagan is of course known for his incredible films like Hush and is very brave to take on one of King’s more provocative novels. Gerald’s Game was originally released in 1992 and tells the solo story of Jessie who is handcuffed to her bed in the middle of nowhere after her husband dies next to her of a heart attack. This adaptation will star Carla Gugino and Bruce Greenwood. Stephen King is the…well…King of cameos in his own work. I recently ranked my top favorite cameos over on my blog here. Right now the first book in the Bill Hodges trilogy, Mr. Mercedes is playing out on Audience Network. The sixth episode premiered this week and Stephen King made an amazing cameo as a murdered line cook. Brady, the villain in Mr. Mercedes, has a daydream sequence where he is inside a diner and imagines everyone being brutally murdered. You can watch Mr. Mercedes every Wednesday and I highly recommend it, it’s an incredible adaptation. Lastly, Deadline is reporting that the next Stephen King adaptation will be Suffer the Little Children which is a short story that appeared first in 1972 in Cavalier and then was published in the short story collection Nightmares and Dreamscapes. Sean Carter will direct this adaptation which is a terrifying story about a school teacher who starts to notice something odd with the first graders she’s teaching. If you want to check out more of Stephen King’s short stories, check out my top ten list here.